At Keystone, we pride ourselves on providing everything you need to do what you do best. That includes materials to help you sell to your customers more effectively. Call customer service at 800.233.0289 for more details and to order any of the items below. 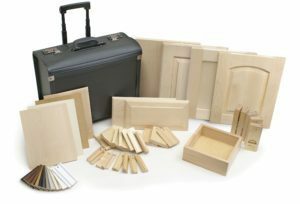 Sales aids are available individually or as a kit with a sturdy carrying case. The price for your kit will be based on the options you include. Your kit may vary in appearance from what is shown here. 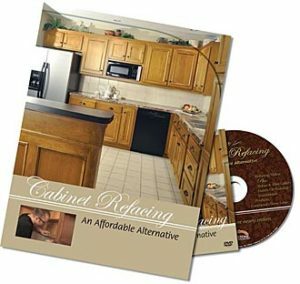 Keystone Wood Specialties has produced a FREE DVD entitled Cabinet Refacing: An Affordable Alternative. 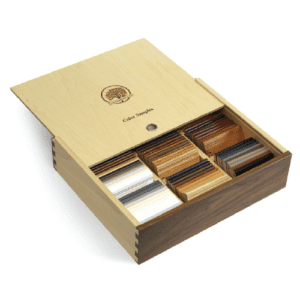 Created to help our customers promote the concept and benefits of cabinet refacing, it is designed as a marketing tool for cabinet remodelers to show to their customers as they discuss their refacing projects. 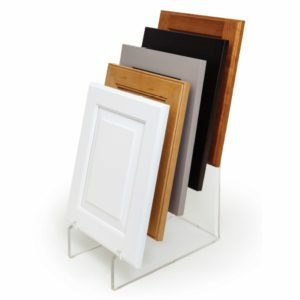 Order samples of our cabinet doors, as well as color blocks showing all of our fine finishes. Also available are displays and carrying cases to make your job easier. Visit the Door Samples and Color Samples pages of our website for more information.